Pablo Escobar made billions of dollars, owned several mansions, private zoo, an army of soldiers, murdered hundreds of people, and did a lot to become the leader of the strongest criminal organization. 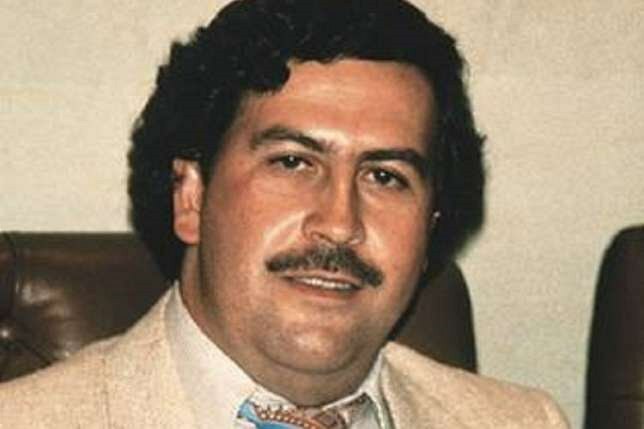 Pablo Emilio Escobar Gaviria or popularly recognized as Pablo Escobar was a narco-terrorist and a Colombian drug lord. He was titled as the ‘King of Cocaine’ and had a worth of over $35 million for heading Colombia’s infamous Medellin Cartel. More than two decades after Pablo’s death, he remained as popular as he was when he served as the head of the Medellin drug cartel. Thanks to movies, books, and songs through which we get to know about his personal life and his power. At the peak of the cartel’s sales, Pablo supplied nearly 90% of cocaine in the US. He made $60 million per day by smuggling cocaine from Colombia. 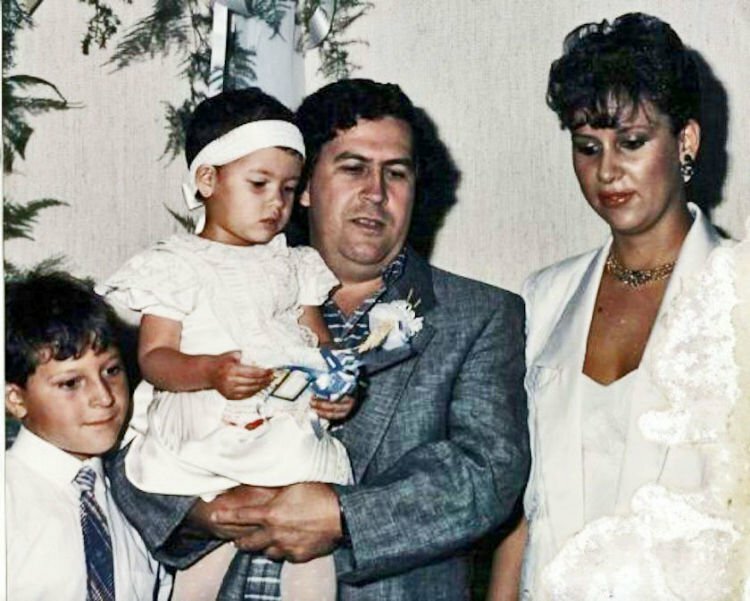 Pablo Escobar was born on 1 December 1949 in a middle-class family to a couple named Abel de Jesus Dari Escobar Echeverri and Hermilda de los Dolores Gaviria Berrío in Rionegro, Colombia. He grew up in the nearby city of Medellin. As a young man, Pablo was ambitious and used to tell his family that he wanted to become the President of Colombia some day. According to legend, he began his criminal career when he was quite young. Pablo started stealing gravestones and then resell them to local smugglers. Pablo’s brother denied this and claimed that the gravestones came from cemetery owners whose clients did not pay for site care, and they also had a relative who was into monuments business. Later, Pablo started stealing cars. It was around 1970 that he finally pursued his career in drugs. He would buy coca paste from different countries, refine it and then transport it for sale in different countries majorly in the US. In 1975, a local drug lord Fabio Restrepo was found dead. He was murdered on the orders of Pablo Escobar. After this, Pablo took over his organization and expanded his business. Escobar controlled all the crime in the city and was responsible for nearly 80% of cocaine transported to the US. Before entering into the drug business, he also worked as a bodyguard and allegedly earned $100,000 by kidnapping a Medellin executive for ransom. He then got involved in many criminal activities. Pablo sold fake lottery tickets, contraband cigarettes and stole many cars. Pablo began working for a contraband smuggler Alvaro Prieto who operated in Medellin to fulfill his childhood dream of having COL $1 million by the age of 22. 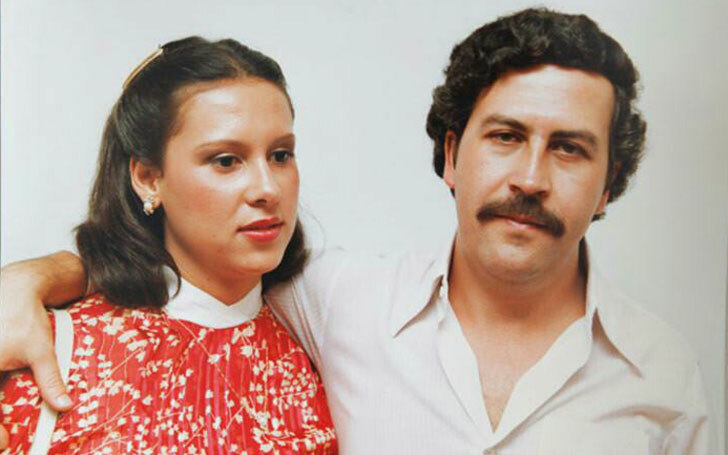 In 1976, Pablo Escobar married 15-year-old Maria Victoria Henao Vallejo. The couple had two children Manuela and Juan Pablo. Pablo was also famous for his extramarital affairs. He had affairs with many underage girls. In spite of many affairs, Pablo remained married to his first wife Maria until his death. Soon, the demand for Cocaine started increasing in the US, and Pablo managed more smuggling distribution networks in California, South Florida and other countries. Both Pablo and cartel co-founder Carlos worked to develop a new transshipment point in the Bahamas (an archipelagic state with more than 700 islands and islets located in the southeast of United States of Florida). Pablo’s brother claimed that Escobar did not purchase land on the island but it was a venture of Lehder. Pablo and Robert Vesco purchased land on the island which included a harbor, houses, boats, and aircraft. They built a refrigerator to store the cocaine. 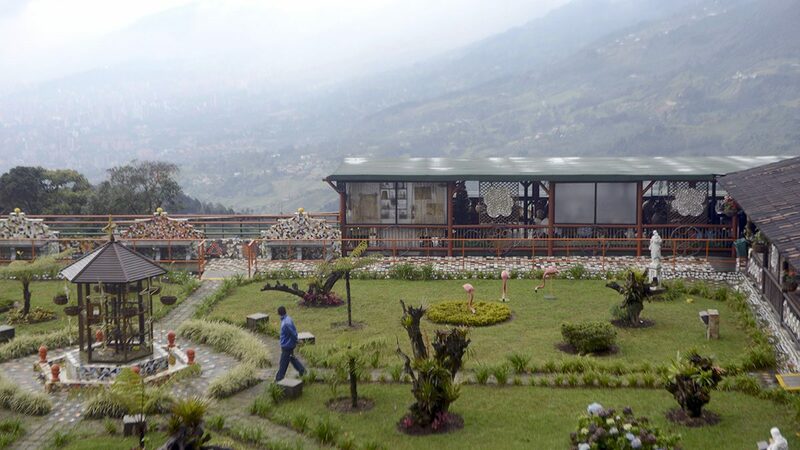 For many years, the place was used as a central smuggling route for the Medellin Cartel. By the mid-1980’s, he became the seventh richest person in the world. Pablo Escobar became the most powerful man with an empire that included a private zoo, apartments all over Colombia, an army of criminals and soldiers, several mansions and personal wealth of nearly $24 billion. He was clever and knew he would be safe if the people of Medellin would love him. To make them happy, he spent millions on stadium, parks, schools, and even built houses for the underprivileged people. As expected, his plan worked, and people started knowing him as a local boy who was giving so much to the community. Escobar had a pattern of dealing with enemies and cops. If a politician or a judge got in his way, he would first attract them with a bribe to complete his work. If that wouldn’t work, he would order his workers to kill them with their family. The exact number of families killed by Escobar is a mystery but, it goes over thousands. If Pablo wanted you to move out of his way, he would do anything. He was rumored to be the attacker of the Supreme Court in 1985 when several justices were killed. He even planted a bomb on a flight killing 110 people. But his target a presidential candidate was not onboard. This is how Escobar and his organization became responsible for the deaths of thousands of innocents, policemen and even journalists. His first severe encounter with the law was in 1976 when he and some of his partners were caught coming back from a drug run to Ecuador. He ordered the killing of officers who arrested them and soon the case was stopped. His power of money made Colombian authorities to give him justice. The United States Government wanted him to face drug charges. But he used all his power and money to prevent extradition. Due to increasing pressure to extradite him, the government and Pablo’s lawyer came up with an arrangement- Escobar would serve himself in jail for 5 years. In return, Escobar would build his prison and won’t be extradited to anywhere else. His prison featured waterfall, soccer field, and a Jacuzzi. Escobar didn’t stop his work and ran his empire by ordering works on phone calls. The king of cocaine didn’t know how much he had earned in his life. He had so much money that it would have required the spending of $2500 a month on only rubber bands to bundle his money Pablo stores his money in fields, warehouses, and in the walls. He lost more than $2billion every year due to rats eating cash, and sometimes he would forget where the money was kept. Pablo even built a private zoo filled with elephants, giraffe, and other animals. He bought two submarines only to transport cocaine. Last but not the least, he used his power of money to get elected to Colombia’s Congress. After doing smuggling, drug trafficking, and other crimes, Pablo became the richest and the strongest person in the world. 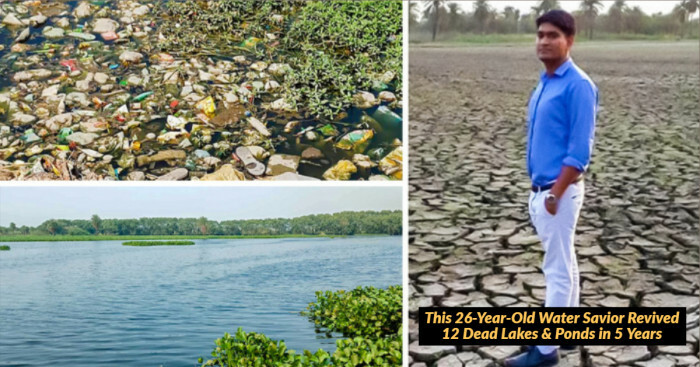 Once when his family was hiding from the cops, his daughter got sick. To keep her safe and warm, Pablo burnt his 2-3 million dollars. Unfortunately, police caught him, and the drugs king died at the age of 44. Where is His Money Today? No one knows! Yes, nobody knows where he kept his money safe. This is also the reason why Pablo Escobar is a mysterious figure even after years. The Colombian government has found only $100 million of his belongings including gold bullion, and his properties in the country. There is an estimation that over $1 billion of his earnings is still unaccounted for. In 2017, the Discovery Channel aired an investigative series ‘Finding Escobar’s Millions’ which featured two ex-intelligence officers and shared their story of the journey to Columbia to look for Escobar’s treasure. It was believed that Escobar often buried money with the corpse of people he killed. After earning billions, Pablo Escobar bought several residences and safe houses. His luxurious house included a sculpture park and a zoo with different animals. He even planned to build a Greek-style citadel near his property. The construction for the citadel was started but, it couldn’t be completed for some reasons. He also owned a 6500 square foot waterfront mansion in Miami Beach Florida. Pablo also owned a huge gateway on Isla Grande (the largest cluster of the 27 coral cluster islands) situated about 22 miles from Cartagena. He also purchased a 4 bedroom property on Biscayne Bay but, the property was seized by the government. Later this dilapidated property was purchased by Christian de Berdouare and the proprietor of the Chicken Kitchen fast-food chain. 15 months after his escape, Pablo Escobar died on 2 December 1993. A Colombian electronic surveillance team used radio trilateration technology to track his radiotelephone transmissions and caught him hiding in Los Olivos in Medellin. The team was led by Brigadier Hugo Martinez. With authorities closing in, two fugitives tried to escape by running across the adjoining houses but, both were shot and killed by the police. Pablo suffered gunshots on his leg and a shot through the ear. 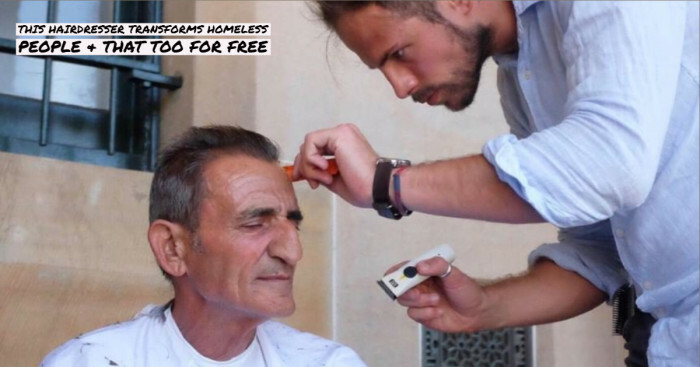 Till date, nobody knows who shot into his ear. Some of his relatives believed that he had committed suicide, while his brothers Fernando Sanchez Arellano and Roberto Escobar believed that he shot himself into the ears. Unlike him, Pablo’s father was a farmer, and his mother was a teacher in a school in Colombo. Know some more amazing Pablo Escobar facts below. Pablo’s drug empire was bigger than his government. People of Colombia called him ‘Plato O Plomo’ which translates accept a bribe or face bullets. You won’t believe how much cocaine Pablo supplied every day. His drug business flourished so much that he used to smuggle around 15 tonnes of cocaine every day. Escobar’s support to poor and his childhood dream of becoming president earned him the nickname ‘Robin Hood’. The biggest cocaine shipment in the United States made by Pablo weighed around 51000 pounds. Pablo worked on the plan that if anyone tried stopping him selling cocaine and drugs he would first offer him a bribe. If that didn’t work, he would kill him. That is how he killed over 4000 people, 1000 police workers, journalists, several government officials, and judges. To manage the free-flowing wealth, Pablo bought a Learjet specifically to transport his cash. 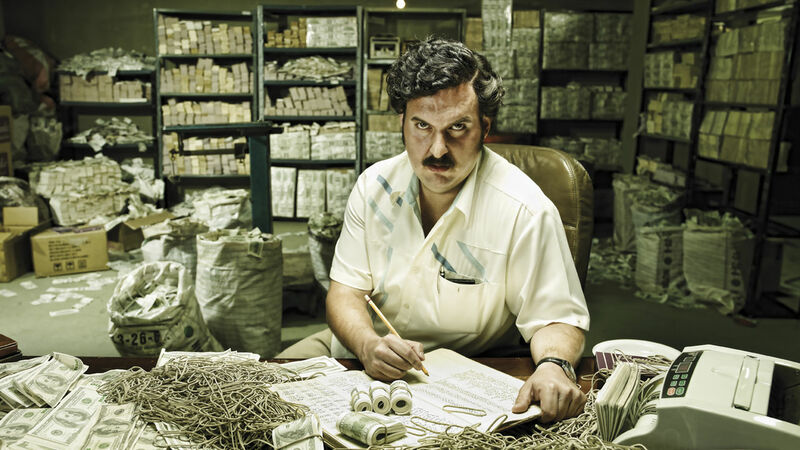 Pablo Escobar did a lot to become the richest person in the world. Can you believe that he paid around $45,000 to pilots every day only to transport his cocaine in different countries? He was a person with a brilliant mind. His working strategies and unusual work got him elected to Colombia’s Congress. He is still recognized as the one and the only king of cocaine all over the world. Pablo was confined in a jail called La Catedral. The jail included a waterfall, game field, casino, nightclub, and a Jacuzzi. It was the most luxurious jail ever built. An American-Colombian crime drama and web television series ‘Narcos’ shows the true story of the infamous powerful drug king Pablo Escobar. The series was shot in Colombia. 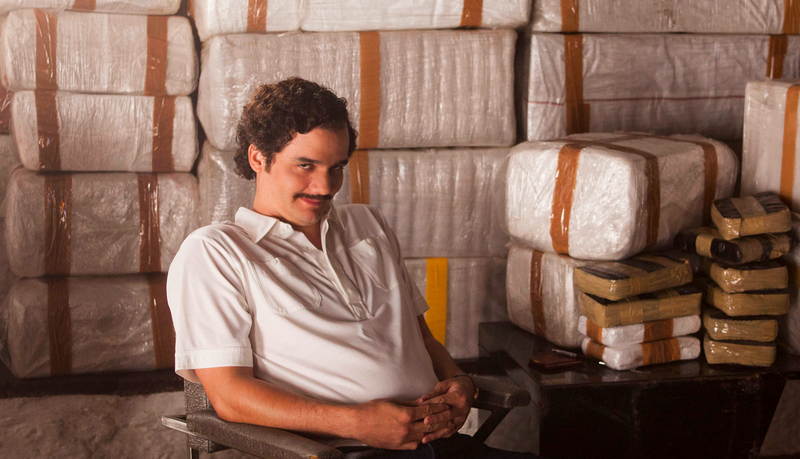 The Season 1 of ‘Narcos’ comprises of 10 episodes. It shows when Pablo first began manufacturing cocaine and how he slowly got involved in it. Pablo then expanded his business with Moreno, an underground chemist and transported his products to Miami and other countries. The first series released on 28th August 2015. The second season continues from where the first season ends. It shows how he engaged in massive battles and killed those who tried to break away from his empire. After two of his top members were caught, he escaped and hid in a safe house. He celebrated his 44th birthday there. 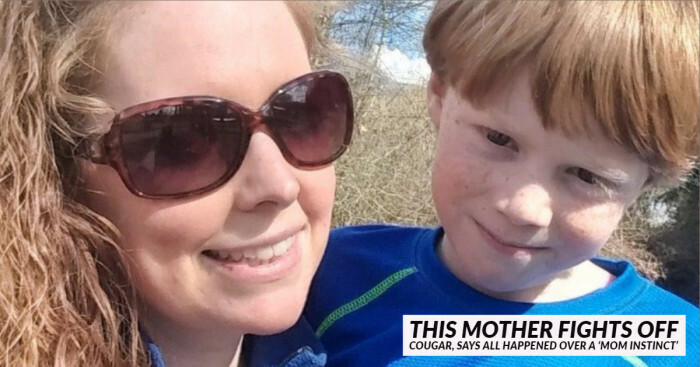 When he tried contacting his family, the military tracked him down, and he was shot dead. The second season of Narcos went on air on 2nd September 2016. Season 3 shows what happened after his death. With Pablo Escobar out of the way, business for cartel boomed with new markets in the US and other countries. The third series went on air on 1st September 2017. If you haven’t seen original series ‘Narcos’ yet, then watch it now. It stars Maurice Compote, Wagner Moura and illustrates the exclusive details of the rise of the king of cocaine Pablo Escobar. Loving Pablo is a movie based on the true story of the king of cocaine Pablo Escobar. The famous Spanish celebrity Javier Bardem played the role of Escobar. It chronicles the ups and downs of the world’s richest man's affair with Colombia journalist Virginia Vallejo. The film released on 6th June 2018 and received a mixed response from the audience. 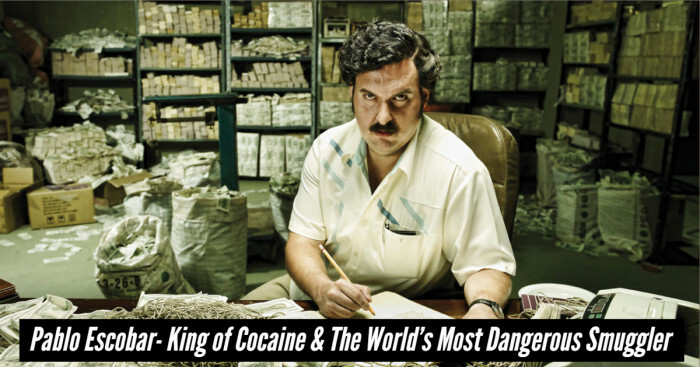 Pablo Escobar's story epitomizes corruption and contradictions caused by the war on drugs. 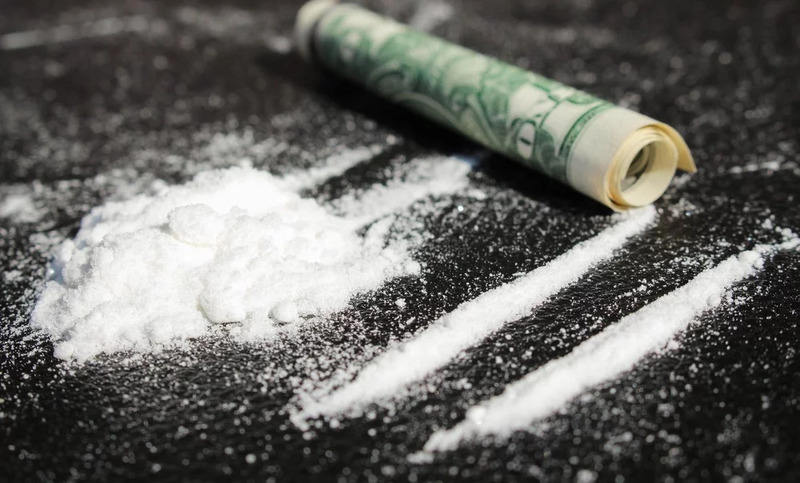 After his death, cocaine was transported through the traditional routes. People today in Medellin call him Robin Hood for donating billions of dollars to small town. Even you can take tours to the places where he lived and died, and other areas where he would work and hide.